The prevalence of avoidable food waste is not limited to any one community or country, nor any particular demographic – it’s a global issue, to which each and every one of us contributes, and the impact of which is felt the world over. We are all part of the problem, but also part of the solution! As you would expect however, there are differences from community to community, country to country, in the significance of each of the underlying factors influencing the amount of edible food needlessly going to waste – be it post-harvest losses due to inadequate storage, something that largely affects the majority world; or the impact of date labelling of food and the confusion and waste this causes within the household, something that mostly affects industrialised countries, where the supermarket dominates the food distribution and supply networks. 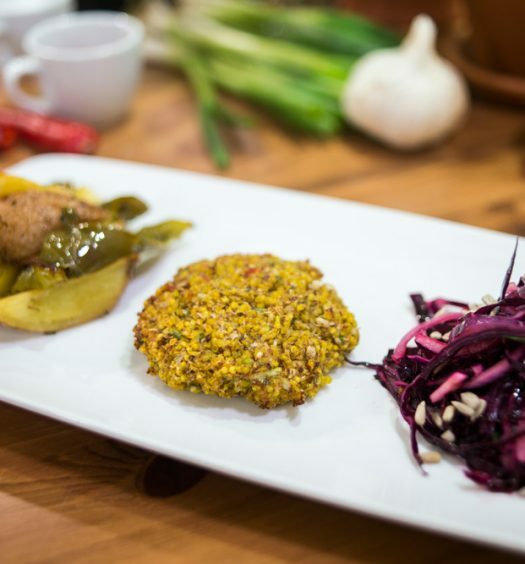 There are many variables in the food waste equation – each one contributing in its own distinct way to the volume of food being wasted, and each one influenced in its own distinct way by the myriad actors in the theatre of avoidable food waste. 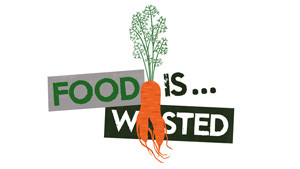 Grassroots initiatives are vital to helping reduce the total volume of food waste resulting from this equation, but few proactively engage with the policy- and decision-makers who directly influence the variables themselves – one organisation that does however, is This Is Rubbish. From serving Members of Parliament to senior supermarket executives, the organisation challenges those who influence the outcome of the equation itself, by demanding changes to current legislation and supply-chain practices, and the adoption of new ones. I was commissioned by This Is Rubbish as part of their Stop the Rot campaign to photograph one such attempt to challenge Tesco and Sainsbury’s to acknowledge their role in generating a criminal amount of avoidable farm-level food waste, and to take steps to minimise it. 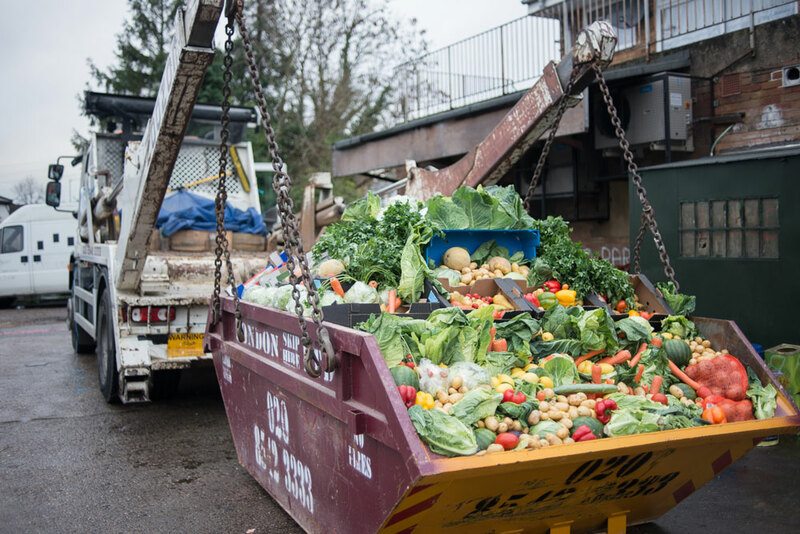 The action involved taking a skip full of food that would otherwise have gone to waste – which was later donated to organisations who were able to make good use of it – and driving it to the headquarters of each of the supermarkets. 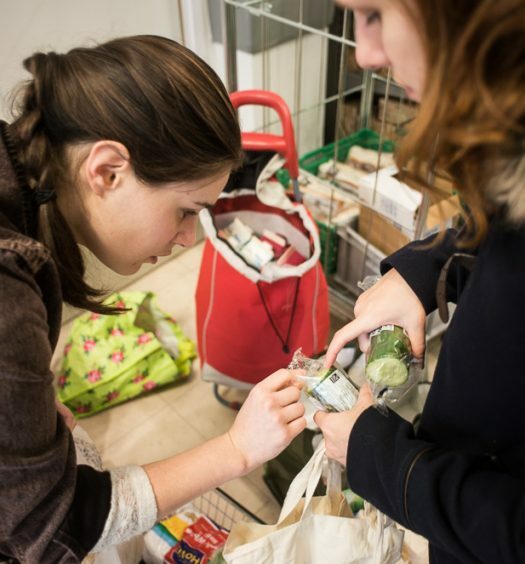 The desire was to both raise awareness amongst passers-by about the issue of food waste, and the role of the supermarkets in its generation, while at the same time attempting to get the supermarkets to engage with them in a discussion about changing the practices which have the greatest impact – such as cosmetic standards and last-minute order cancellations. In the UK, statistics would have us believe the household is the biggest villain when it comes to avoidable food waste – we’re reportedly responsible for almost 50% of the total amount of food being wasted, with over 60% of that being avoidable. However current statistics might be a little misleading, due to a lack of accurate and complete data for each of the variables, and so may not accurately represent the reality on the ground – this is particularly true at a farm-level, where solid data on the quantities of food needlessly going to waste due to cosmetic standards, order cancellations and other unfair practices carried out by supermarkets, is scarce. This should not hinder any attempt to nurture enhanced knowledge and practices in relation to improved management of food within the household, but nor should we be complacent in any attempts to gain more accurate, comprehensive data upon which meaningful action can be taken at a farm-, retail- and manufacturing-level. It’s in everybody’s interests – both locally and globally – that we take action to reduce the influence of each and every variable, and hold each and every actor to account – motivating and empowering them to take positive, meaningful action. With This Is Rubbish setting itself apart from the crowd by focusing on the waste produced before we make a purchase, rather than on us, the consumers – the actor upon which the supermarkets and government would like the spotlight to shine – they deserve all the support they can get to ensure their voice – one that represents us all – is heard loud and clear, and never falters! Be sure to check out the This Is Rubbish website, and the Stop the Rot campaign site for more information.